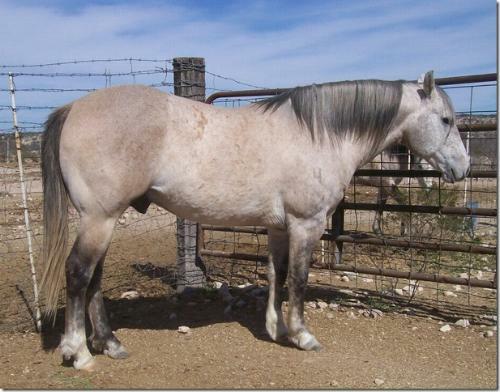 AT STUD ~ PG Six Bee Sugar 07 – AQHA# 4953229 – Gray. Proven Producer with 2 Matched Pairs of Chromosomes, ( King P234 & Poco Bueno each had 1 Matched Pair of Chromosomes and Produced Dynasties ). 14.2 Hands, 1150 Pounds, carries – 37.50% Karens Six Bee; 25% PG Dry Fire; 18.75% Flying X 6; 12.50% Playgun, 9.375% Jackie Bee; 6.64% Grey Badger II. Line Bred 11X, King P234; 11X Yellow Jacket; 10X, Old Sorrel; 5X, Waggoners Rainy Day; 4X, Buck Hancock; 3X Blue Rock. PG Six Bee Sugar 07 is a FANCY COWBOY Gray, born a Zebra Striped, Lineback Dun that later Grayed out, Old Tyme Bulldog Conformation, Heavy Bone and Muscle, Short Back, Long Underline, Long Powerful Hanging Hip, Big Gaskin and Stifle, Deep V Chest, Strong Heavy Muscled Forearm and Heavy Hanging Shoulder, Flat Kneed, Low Hocked, Beautiful Head, Big Powerful Jaws, Big, Pretty, Soft, Kind Eye, Outstanding, Quiet Disposition, really wants to Please! A Ranch Using Horse and Proven Producer with MANY of the Industries GREATEST Foundation Producers / Genetics, and some of Today’s MOST Outstanding Cow Horse Performance Individuals and Producers, wrapped in one Outstanding Package, with 2 Matched Pairs of Chromosomes. Other Earnings: National Cutting Horse Association $549.71. 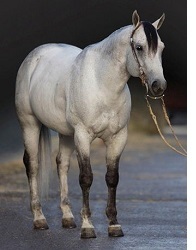 PG Six Bee Sugar 07 is line bred 9.375% Jackie Bee, 2008 AQHA Hall of Fame Inductee, Legends Sire, He sired 1009 foals in his breeding career, including 16 AQHA Champions. He died in October 1990. Offspring Total Points Earned 7,879.50; Registered Foals 1,009; Number Shown 268; Point Earners 197; Halter Points Earned 3,913.50; 168 Halter Point Earners; 12 Halter Superior Awards; 3,966 Perf. Points Earned; 222 Perf. Point Earners; 91 Perf. ROMS; 8 Perf. Superior Awards; 20 Total Superior Awards; 91 Total ROMS; 3 Total World Champions; 4 Total Res. World Champions; 3 High Point Wins; 16 AQHA Champions. PG Six Bee 07’s Grandsire, PG Dry Fire has earned $116,916 in NRCHA and NCHA events. He was the 2008 World’s Richest Stock Horse Reserve Champion, and 3rd 2009 and 2010, and the Champion of the 2007 NRCHA Open Bridle Spectacular, competing against the best bridle horses in the country for the richest bridle purse in NRCHA history. He placed 5th in the 2007 NRCHA Snaffle Bit Futurity Open Bridle and was the 2006 NRCHA World’s Greatest Horseman Reserve Champion. PG placed 6th at both the 2005 and 2006 AQHA World Shows in Senior Working Cowhorse. In his first reined cow horse show, with Boyd Rice at the reins, PG was champion of the 2004 Colorado Reined Cowhorse Futurity Open Bridle, this just after he had tied for 3rd at the West Texas Cutting Futurity. 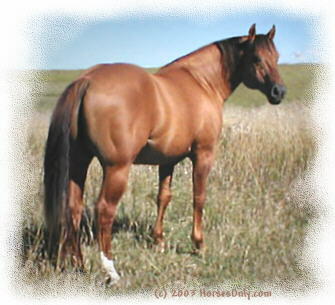 2004 Western Oklahoma Aged Event OP Co-Reserve Champion, AQHA Performance ROM. Quote from Ted Robinson, NRCHA’s All Time Leading Money Earner, “PG Dry Fire, as one of today’s horses, is probably the most capable 4 Event Horse there is. He Cuts Well, He Reins Well, He Ropes Excellent, He goes down the fence Better than ANY Horse going up and down the road today! He likes things Tough, He likes it Fast, the Harder the Better, he CAN Handle it. He has Heart and Guts you don’t find in today’s horses, BUT HE SURE HAS IT!” See PG Dry Fire video @ http://www.aspenmeadowsranch.com/pgstallions.htm. 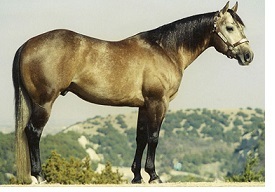 PG Six Bee Sugar 07’s Great Grandsire, Playgun, LIFETIME EARNINGS OVER $185,000.00, THE 1996 HIGH MONEY EARNING 4 YEAR OLD CUTTING HORSE, AUGUSTA FUTURITY CHAMPION - OPEN DIVISION, AUGUSTA FUTURITY CHAMPION - NON PRO DIVISION, BONANZA DERBY CHAMPION - NON PRO DIVISION, STEAMBOAT SPRINGS DERBY CHAMPION - OPEN DIVISON, EL CID CLASSIC CHAMPION - OPEN DIVISION, EL CID DERBY RESERVE CHAMPION - OPEN DIVISION, ABILENE WESTERN DERBY RESERVE CHAMPION - NON PRO, STEAMBOAT SPRINGS CLASSIC RESERVE CHAMPION – OPEN, ABILENE SPECTACULAR DERBY - TIE 3RD - OPEN DIVISION, MEMPHIS FUTURITY - OPEN FINALIST, THE ANON-PRO@ DERBY FINALIST, NCHA DERBY & CLASSIC FINALIST - OPEN & NON PRO, NCHA SUPERSTAKES CLASSIC FINALIST – OPEN, AUGUSTA CLASSIC FINALIST - OPEN & NON PRO, NCHA FUTURITY - 2ND HIGHEST COMPOSITE SCORE IN GO ROUNDS, AQHA HIGH POINT JUNIOR CUTTING HORSE OF 1995, SIRE OF AQHA SUPERHORSE, REALGUN; 15 AQHA WORLD CHAMPIONS & 8 RESERVE WORLD CHAMPIONS, SIRE OF OVER 200 NCHA AGED EVENT CHAMPIONS. Playgun is a leading sire, having foals that have earned in excess of $8,000,000 in NCHA, NRCHA, NRHA, RHAA, and AQHA competition. The majority of his foals have been finalists and champions at nearly every major aged event offered and a NCHA World Champion. PG Six Bee Sugar 07 is line bred to such Legends as King P234, Yellow Jacket, one of the Most Prominent Cow Horse Dynasty PRODUCERS in History. 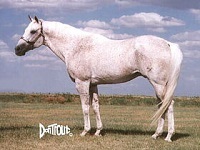 Such Greats as King P234, Hired Hand, Cowboy, Blackburn, Poco Bueno, Bert, Ed Echols, Texas Blue Bonnet, Gray Hancock, Baldy Joe, Tallyman, Mr Blackburn 40, Fortys Last Chance, Easter King, Hollywood Jac 86, Royal Blue Boon, etc. trace back to the Legendary Yellow Jacket, who himself had 4 Matched Pairs of Chromosomes! 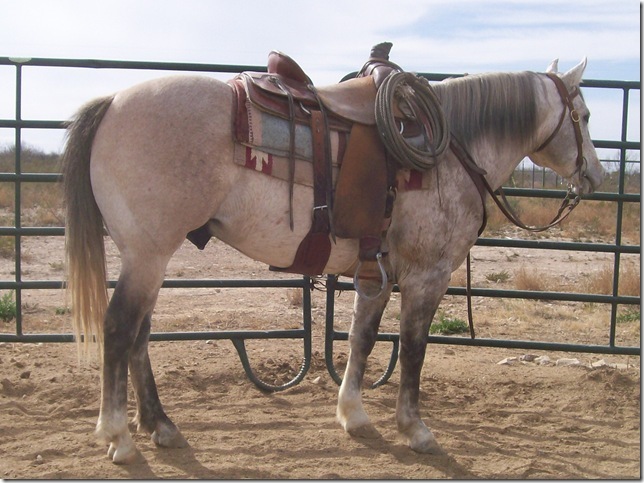 (The Majority of Today’s Greatest Cowhorse Bloodlines trace to Yellow Jacket, of those MOST are Line Bred YJ! 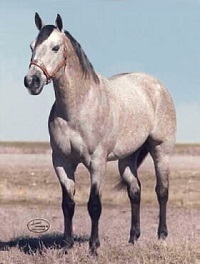 ), Old Sorrel, the stallion Bob Kleberg Line Bred and FOUNDED the King Ranch Quarter Horses from, Waggoners Rainy Day, Buck Hancock, Eddie and Blue Rock, One of the industries ALL TIME Greatest Foundation Sires!